The aim of this chapter is to arrange KANBAN shelving in order to calculate the optimum order quantity of the materials supplied for the TV main boards in an electronic factory and to minimize the stacking of material waiting in the production area. To optimize this problem, a mathematical model is developed and solved in an optimization program. In addition, a number of proposals have been submitted under an Industry 4.0 to manage deficiencies in material following. The performance measures of both cases were compared, and the results evaluated. Due to the shortage of material following the next step of the problem, the company has been recommended to apply radio frequency identification (RFID). With the project management approach, all the critical information needed to manage materials, such as the materials themselves, production processes and stock information, has been clearly updated to keep the entire process under control. Supply chain is a whole consisting of the product required by the customer from the supply of raw materials necessary to produce the product held until all the operations and the flow of information delivered to the customer. The supply of the necessary materials is a very important part of this process. The material needed for production must be available at the required time, place and amount required. This understanding in production is known as just-in-time production and is born with a lean production philosophy. Lean manufacturing practices have been seen in the industry since the early 1990s. The key features of lean manufacturing are their focus on tight integration in the production process, continuous improvement and value adding activities while avoiding waste (Kolberg & Zuhlke, 2015). In the just-in-time production, which is popular with the Toyota Production System, requires a stock level of zero value (Sanders, Elangeswaran, & Wulfsberg, 2016). Extra stock is also seen as one of the seven largest wastes of lean production. Stocks have an important place in terms of the profitability of the business and the continuation of production. But the costs of stocks, which are too much or too low, can cause loss or damage to the business. In an operation of an enterprise, production in a normal push system is not based on real demand, but on the contrary to the demand forecast. In the pull system, production is based on real demand. Ordinarily, an operation of production should only be undertaken when requested. Demand must originate from a customer who must establish a production order. This means that every subsequent operation must initiate the operation of the previous operation. Extra stock in the business will lead to unsold merchandise, and in addition to production, maintenance and so on. Additional costs will arise (Monden, 2011). Marchwinski et al. (Marchwinski & Shook, 2007) describe the pull system as follows: “The next operation in the pull system conveys to the previous operation what material is requested, the amount required, and when and where it is needed through the Kanban card. Nothing is produced by the supplier until the customer specifies a need. It is clear from this that the best way to implement the pull system is the Kanban system. 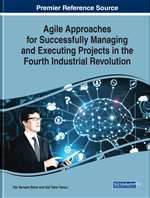 In this study, in order to minimize the amount of stock in the production area and to optimize the order quantities in the business, the drawing system from lean manufacturing techniques and therefore the Kanban systems were utilized. The aim of this study is to calculate the optimal order quantity of the materials supplied for the television. Motherboards in an electronics factory, and also to arrange the Kanban shelves to minimize the amount of material waiting in the production area. In doing so, it will also be supported by Radio Frequency Identification (RFID) application, which is based on continuous radio frequencies and will provide follow-up to the physical locations of the materials. Within the context of the Industry 4.0 concept, the availability and traceability of materials are increased in production and used as an input of information that adds value in stock management systems, so that decision makers and project managers can be made faster decision making process.